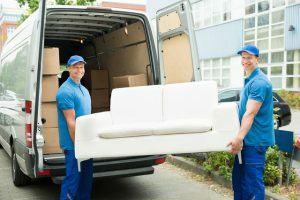 Flash Moving is a professional moving company with 9 years of experience that’s proud to offer services to clients throughout Los Angeles and the surrounding area. Great service begins and ends with experienced and friendly professionals, which is why we put so much consideration into selecting the best people to join our team. We aim to not only meet your needs, but also exceed your expectations of what a dependable Moving Company can be. We are here to help with any question that may arise before, during and after the move! Take the stress out of moving to a new home with our reliable, family-friendly relocation service. Whether it’s a local move or long distance, we will take care of transporting your belongings for you – giving you enough time to deal with all the other important issues involved in moving. No matter whether you are looking to relocate an office within the same building or move machinery to a facility in another, our specially trained movers will take care of everything for you. With no hidden fees or surprise costs, you can easily plan your business’s budget. For a lot people, packing is their least favorite part of the whole moving process. Save yourself the time and hassle, and let us do the hard work for you. Our expert packers use quality packing materials to ensure that all your belongings are safe and protected from damage. We take safety and security seriously. Accountability is our credo. Set the time and we will come and do a great job for you. Truck, fuel, movers, tools, wardrobe boxes, plastic wrap, packing tape and even basic insurance! 3 hours minimum (Sun-Fri). Oversized items. Double Driving Time. Extra packing supplies. For stairs, assembling, disassembling, narrow hallways, wrapping, long walking distance. We will wrap all of your furniture in blankets and unlimited shrink wrap. "The Flash moving guys were polite, fast, and careful with my things! Thanks!" "Sales was very helpful when scheduling our appointment, and even shifted some things around to accommodate our timing. Our movers were very professional and well-prepared. Highly recommend!" "This is my first time hiring Flash Moving, and I'd do it again. The team was very thorough, super careful and very courteous. Great job guys.. thanks!"